Whether you are building your first rifle or a true beginner, you may notice others around you are either sporting a red dot atop their rifle or strictly running iron sights. Although the decision is purely personal preference, there are pros and cons to both configurations. Many older generation shooters may prefer iron sights, either because this was what they trained with in the military or their first rifles only had iron sights. On the other side of the equation, many newer shooters have decided to make the switch to a red dot sight or are even running both. Needless to say, there is a reason for both sighting systems, and this article will help guide you towards what is right for you. One of the more obvious benefits of using iron sights is they will never require batteries. With an adjustment tool for your front sight, you may set your elevation to sight in at the range and call it a day. This enables the shooter to pick up the rifle, chamber a round, and they are ready to place rounds down range. 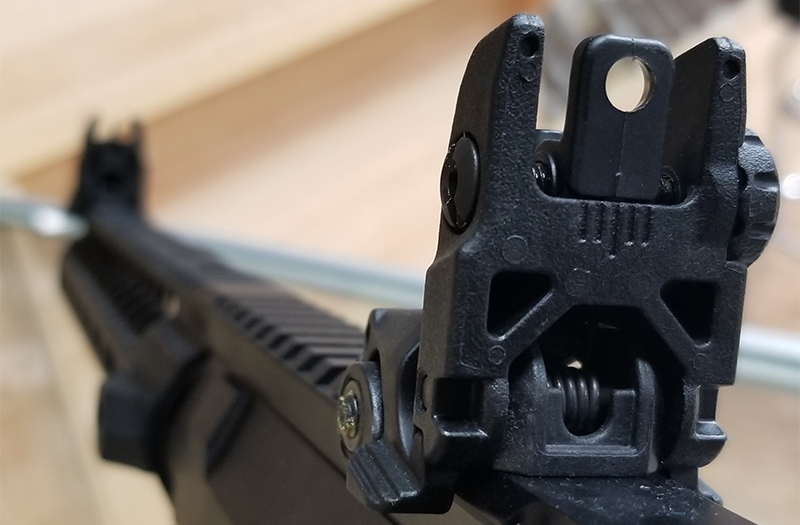 The neat thing about iron sights is you do have the option for fixed sights, such as Scalarworks that stay fixed in an upright position, ensuring you always have a form of sighting no matter when you pick up your rifle. Another available option is the use of flip-up front and rear sights that fold downward and rest flush against the rail for easy storage, as well as clear room for either a long-range optic or red dot. Attaching a red dot to your rifle has its own benefits, and it may even replace your iron sights entirely. One of the many reasons some prefer an optic is that it allows for quicker target acquisition in close-quarter combat situations. 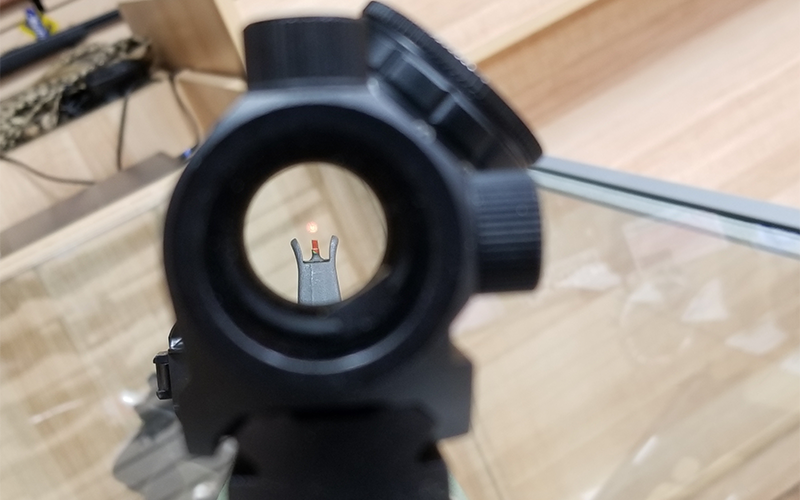 Whether you are using a 2MOA or 3MOA red dot, your front sight picture is not obscured by a ring guiding you towards a front post to align your sights. When properly sighted in, you may move from target to target with ease. Unfortunately, while red dots offer convenience when moving through targets, one of the main downsides is the requirement of batteries. If you are in the field or in the middle of a competition, the last thing you’d want to happen is have your batteries die. This will leave you with no way to accurately fire your rifle until the batteries are replaced. Although you may have replacements in the pistol grip, replacing the batteries, especially if your optic is not quick detach, may cause you to lose valuable seconds in the fight. 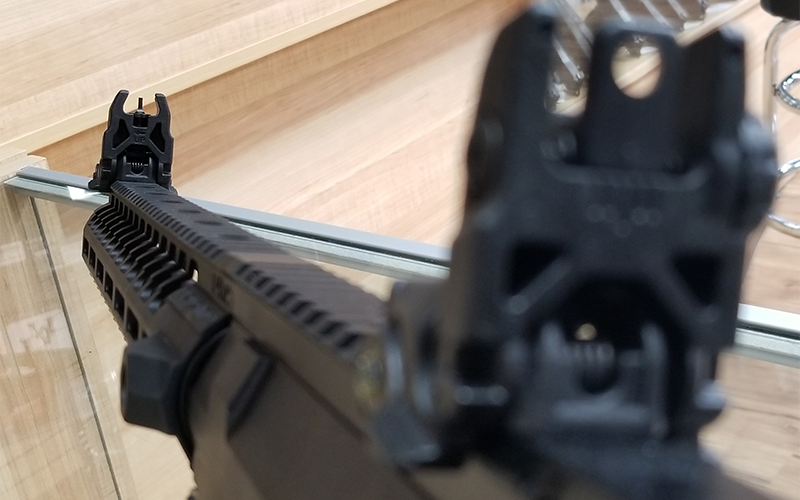 Either way you view this, losing your reticle is never a good thing, which is why it is becoming more common for experienced shooters mount iron sights in conjunction with their optic. 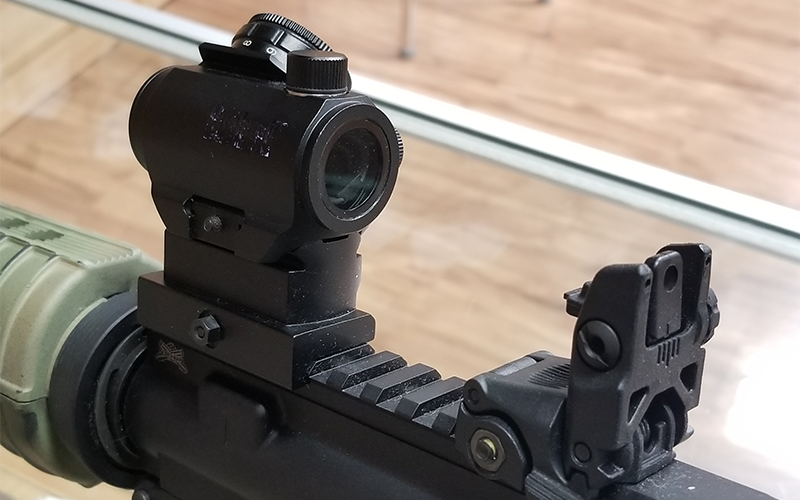 Red dots can be a bit more of a complex sighting system than iron sights as you now you have to decide between a fixed power red dot or an optic with adjustable magnification. The benefits to a fixed magnification is that once it is sighted in at a certain yardage, you can easily fire accurately up to or at that distance. The downside, however, means that if your 2x magnification is only sighted at 200 yards, you will need to make manual adjustments to place the round where you need it. The advantage you gain with an adjustable magnification is that you now can move from a 1x to a 6x (sometimes 1-4x), which allows you to acquire a target at 40 yards and then switch quickly to fire at 400. The biggest disadvantage to an adjustable magnification is that, should you overlook your latest adjustment to a further yardage, it may seem impossible to view your close-range targets. This can require you to adjust the power and will add time to your competition run. Quite possibly the most recommended option is to mount an optic in addition to your iron sights, whether fixed or flip-ups. This provides reassurance to the shooter that if their optic fails, they will remain in the fight. A common way shooters combine a red dot with irons is by using either a lower 1/3 or absolute cowitness. With absolute cowitness, your iron sights align perfectly with the reticle so that, if your reticle vanishes, you do not have to adjust or flip up your sights as they are already engaged. With a lower 1/3, your sights rest just below the reticle and only require minimal adjustment to hone in on your target. Another common way that shooters have combined an optic with iron sights is angled or canted sights. What this means is that your iron sights, instead of resting atop the rail, set leaning towards the right profile of the rifle, or left for southpaws. This has grown in popularity amongst more advanced shooters. 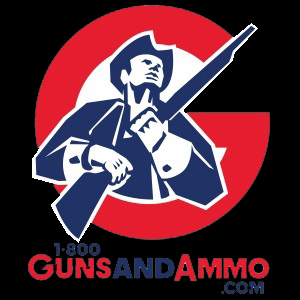 Those in 2-gun, 3-gun, or defensive rifle competitions have found this to be a suitable backup sighting system as a minor cant of the rifle aligns these sights for targets at a closer range. These are more commonly used alongside red dots with higher magnification, allowing the shooter to eliminate targets at a further range, whilst allowing them to tilt the rifle to successfully strike targets at a closer yardage. This form of sighting system isn’t as common as backup flip-up sights as it does require to fire from an awkward position if you are not accustomed to firing at an angle. No matter your decision, we can all agree that the best sighting system is one that allows you to accurately place rounds on target. If you find that you are more successful with iron sights over a red dot, or vice versa, the decision is yours to make. 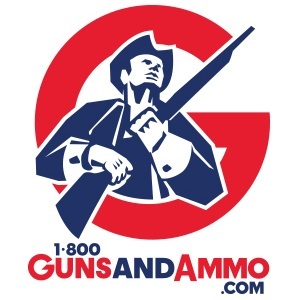 It is always recommended to select the option you feel is best for your application and, once you have decided you are comfortable with, visit our store in Arlington, Texas or check out our site at 1800gunsandammo.com to browse our extensive inventory for available products to add to your next build.